It’s finally done, the house is decorated for Christmas. Well the lights are not up on the outside of the house, but that is Chris’s job not mine. The important thing is all 15 Christmas trees are proudly on display. 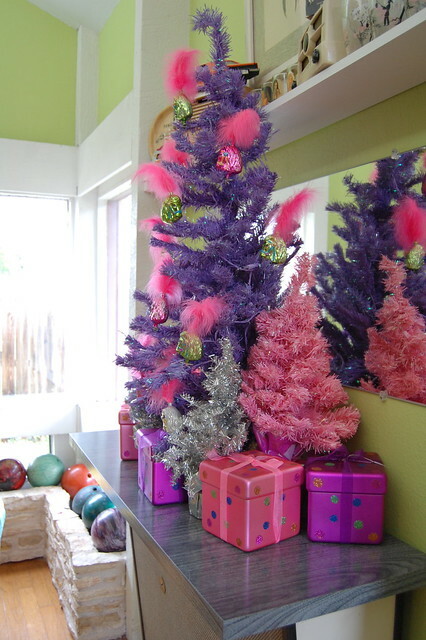 Oh and Phil (my father-in-law) not a one of them is real they are all colorful and tinsel just like I like it! After going to all this hard work I thought I would share a few pictures with you. You can see how the house looked in 2010 here. I try to spice things up every year. 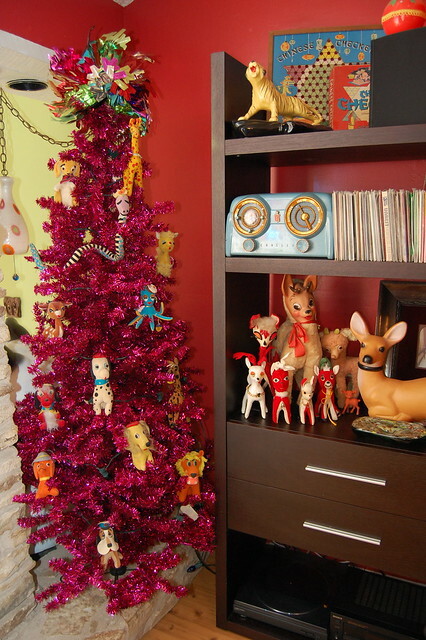 I decorated our “main” Christmas tree with my collection of vintage Dream Pets this year. I have oodles of ornaments, but the kids are too small to have glass and wire hooks around so I figured stuffed animals was a safe decor bet. 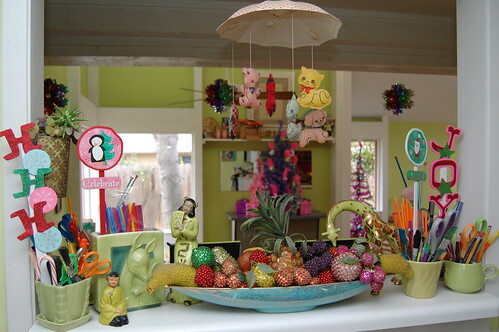 Plus these little animals usually sit on a shelf in Tallulah’s nursery so it is nice to get to admire them for a bit. 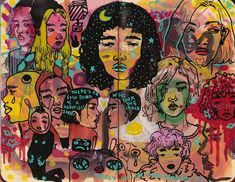 You know how I feel about my fireplace, ugh. However, I do love the glittered deer by my sister Hope Perkins, the stockings by my mother Fredda Perkins and the gift wreath by moi. 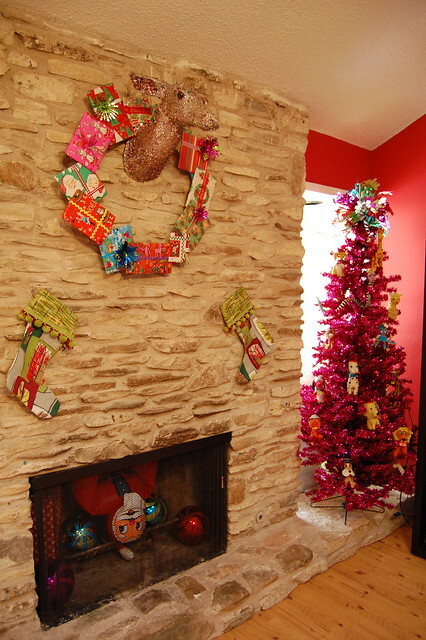 The Santa in the chimney makes me giggle too. 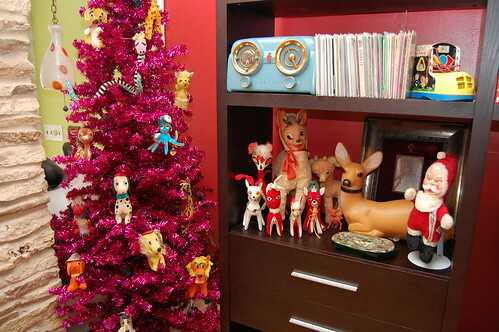 To the right of the hot pink Dream Pet tree is a shelf with a collection of 8 reindeer plus a musical wind up Santa toy. 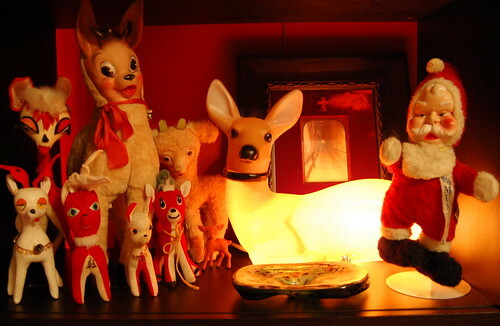 Christmas is the one time of year where some of my collections like Dream Pets, rubber faced dolls, deer and Santa get to co-mingle. 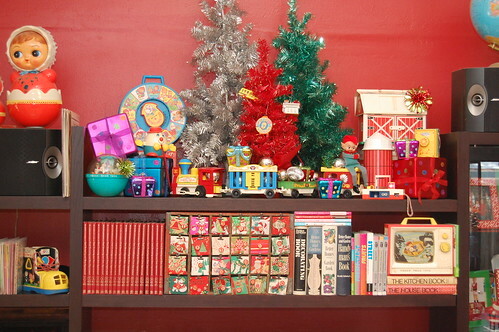 I call the top of my entertainment center a “Vintage Fisher Price Christmas”. 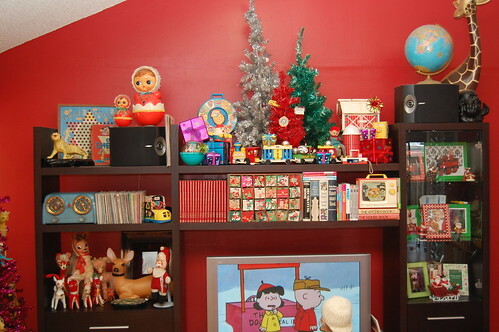 My small collection of Fisher Price ornaments decorates the center red tree. 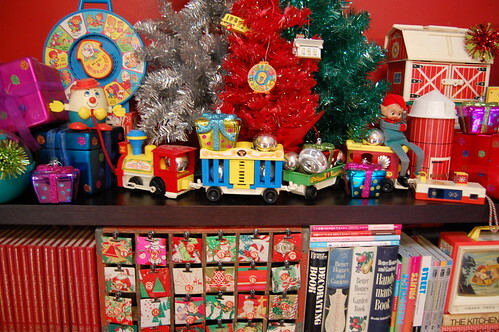 A few pieces of my Fisher Price collection sit under the tinsel trees complete with ribbons and bows as if Santa placed them there himself. 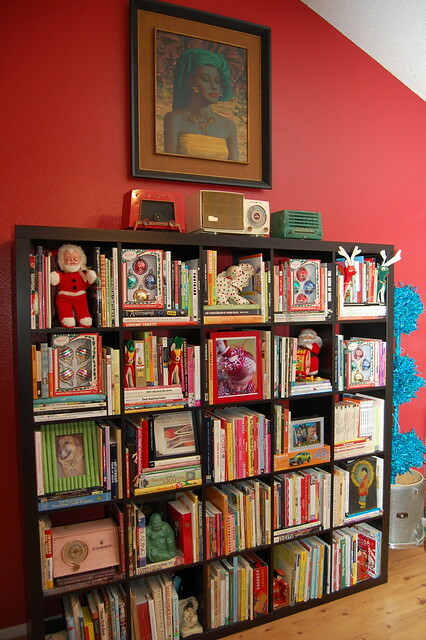 I moved my Recycled Coke Crate advent over to Christmas land so we could enjoy it more. Today’s activities was making Gingerbread cookies. I have a bad addiction to themed picture frames. Have I told you that before? I need about a million Christmas pictures of Baxter to compete with the current Tallulah Christmas shrine. Notice also Charlie Brown Christmas playing in the background. 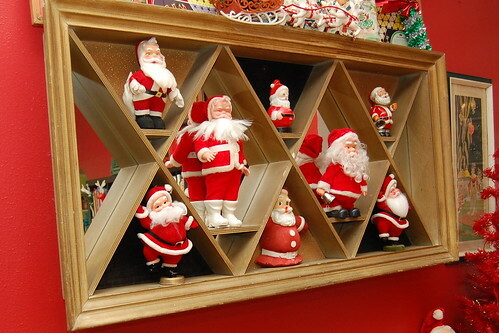 On the West wall of the same room my mother donated several of her vintage Santa’s to me. Don’t worry she has plenty to spare. I think they are quite happy, or shall I say jolly, in their new home. 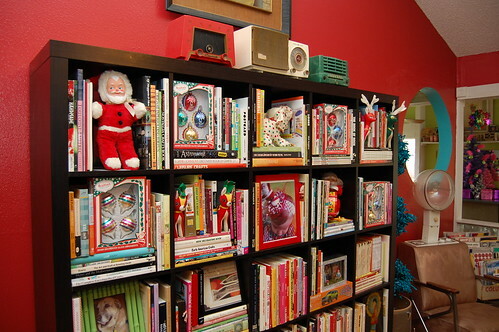 At least this year I did not go so far as to color code my books and use only those with red, green and white spines on the top shelves. I like my little Christmas radio collection on top! In the kitchen I went with the less is more theme over the sink. 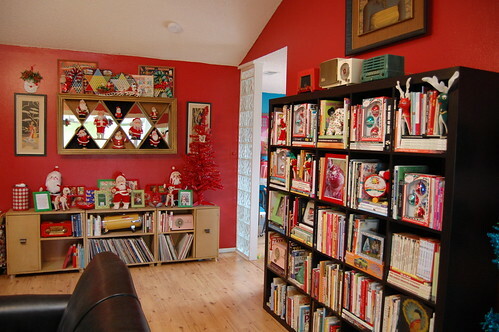 As my sister pointed out, this Christmas vignette is not my typical color palette. I’m glad I branched out because this might be my favorite set up of them all. 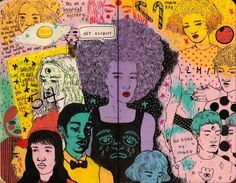 Fake gifts, feathered show ponies and pastels – I’m in love. 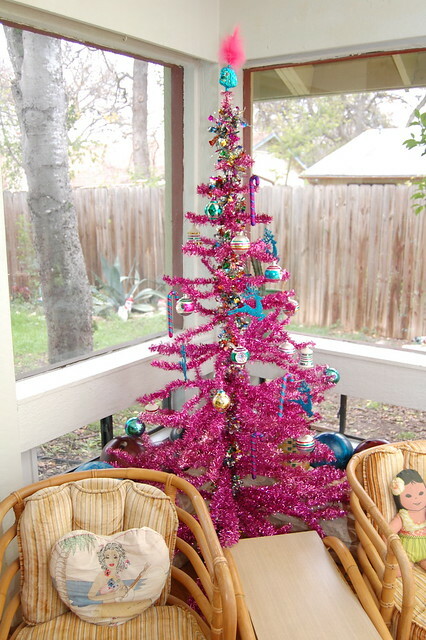 Last, but not least I have a tree with actual garlands and ornaments. 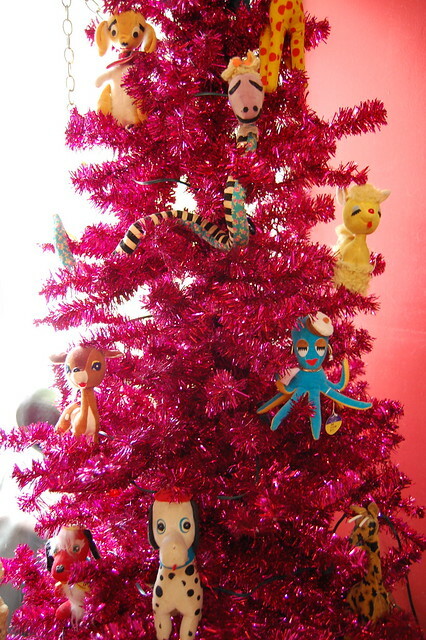 Sure it is a hit pink tree, but the ornaments are reproduction Shiny Brites and that is pretty traditional for me. Do you have your decorations up? Posted December 7, 2011 & filed under Christmas. 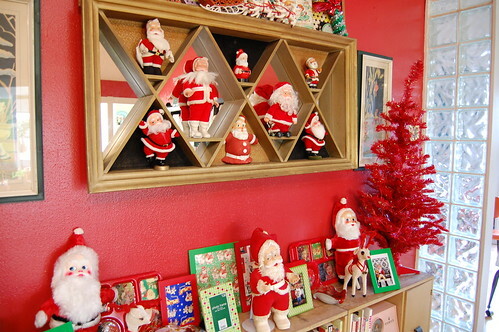 I'm really loving your Santa collection. 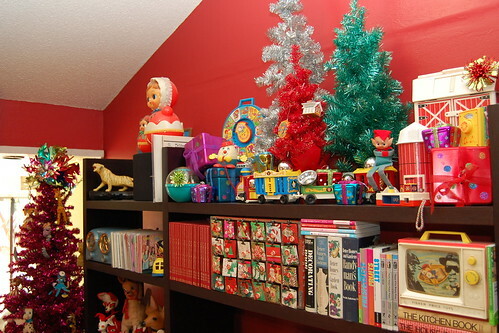 And vintage Fisher Price ornaments?? I die. Man oh man, that is all kinds of kitschy goodness! Go Jen! I think you should charge admission to your house! You would find my sad, neutral tree anemic to the extreme. Maybe you need to come over and spice it up. Wow! What an amazing set up! 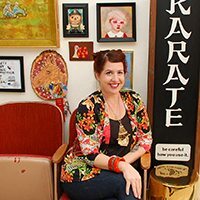 I love seeing bits of your house! 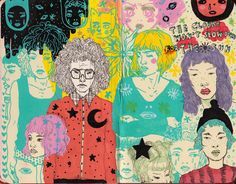 It looks so fun and full of love and creativity. So nice! whats on top of your main tree? can you post a closeup.picture? Betty sometimes I think we were separated at birth. Sierra I know I need to have you over or get coffee. 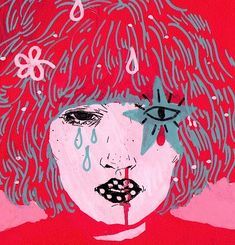 I swear between sick kids and the holidays I can't seem to catch my breath.